Damian Jimenez has only lived in Senatobia for six months. In that short time, he has adapted to the many variances that southern culture has to offer while attending Senatobia High School as an exchange student. But there is one thing the 17-year old Jimenez isn’t sure he will ever get used to – the weather. Jimenez is from Cochabamba, the third largest city in Bolivia with a population of approximately 650,000 people. Bolivia, which is considered a third world country because it remains an undeveloped nation, is located in central South America, with a varied terrain spanning the Andes Mountains, the Atacama Desert and Amazon Basin rainforest. Cochabamba, which was featured as a location in the popular 1983 film Scarface, is known as the “City of Eternal Spring” and “The Garden City” because of its spring-like temperatures that hover between 50 and 80 degrees Fahrenheit all year round. Jimenez has been in Mississippi long enough to realize the state’s weather is anything but consistent. Jimenez is in the United States as part of the International Cultural Exchange Services (ICES) program. 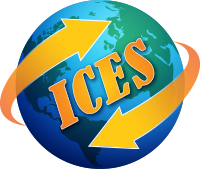 ICES has been a member of the Alliance for International Educational and Cultural Exchange since 1997. With over 38 office staff members and a team of 425 field coordinators, ICES is dedicated to providing participants with experiences that will have a positive impact on their lives for years to come. The organization manages over 1,300 students yearly with a network of school partners in 45 states. Students come from 39 countries and are supervised by trained coordinators and compassionate student counselors. 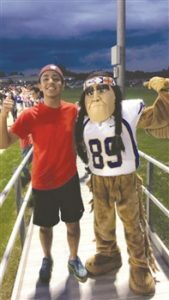 Although he completed his high school education in Bolivia, Jimenez was matched with a host family in Senatobia for 10 months to learn more about America and its culture, while providing his hosts with information on his home country. Exchange students fill out a comprehensive questionnaire before a local coordinator speaks to the potential host family about what kind of student they would like (male or female, country of origin) and what their lifestyle is like. After that information is gathered, the coordinator searches for available students and presents a few choices to the family. Jimenez, who developed a unique desire for travel at a young age, discovered the exchange student program when he was 16 years old. After an extensive application process, Jimenez waited for over two months before receiving the news he had been selected to participate. It didn’t take Jimenez very long to adjust to his host family in Senatobia mainly because Garth and Rosemary Tindle have hosted seven other exchange students from different countries across the world. The Tindles were presented with an opportunity to host their first exchange student in 2008 and started out slowly by opening their home to a young lady from Germany for five months. Jimenez, who is an only child, said he remains in constant contact with his family in Cochabamba where his father, Omar, is an accountant and his mother, Araceli, is a nurse. “We usually FaceTime one another every Sunday evening for about an hour to stay in touch,” Jimenez said. Jimenez came to America with two things necessary to easily adjust to new surroundings – a smiling face and a warm personality. Both helped him make new friends immediately at Senatobia High School as well as First Baptist Church. Jimenez, who enjoys cooking in his spare time, quickly developed a newly discovered taste for southern cuisine such as barbecue sauce, cornbread, catfish and shrimp. At Senatobia High School, Jimenez used his knowledge of volleyball to help the varsity squad last season as manager and volunteer coach. He played in a professional volleyball league for seven years in Bolivia, but was disappointed to learn that volleyball is only offered as a girls sport in Mississippi high schools. Jimenez also intended to play soccer at Senatobia this season, but tendonitis in his knee changed those plans as well. For now, Jimenez is focused on finishing up the school year at Senatobia High School and returning to Cochabamba in June. Jimenez, who enjoys reading poetry and books on a variety of subjects, said he will apply for a return trip to the United States so he can attend college at New York University and major in journalism.